Moth Mimicry - Jackson Wild: Nature. Media. Impact. Jesse Barber and two graduate students headed to Gorongosa National Park to study bat-moth, predator-prey interactions. The scientists design several experiments to determine the strategies that have evolved in these Gorongosa moths to avoid being eaten by bats. The strategies involve the use of ultrasound to either jam bats’ sonars or to signal to bats that they taste bad. Some of the moth species are Batesian mimics in that they don’t truly taste bad but mimic the ultrasound of moths that do. 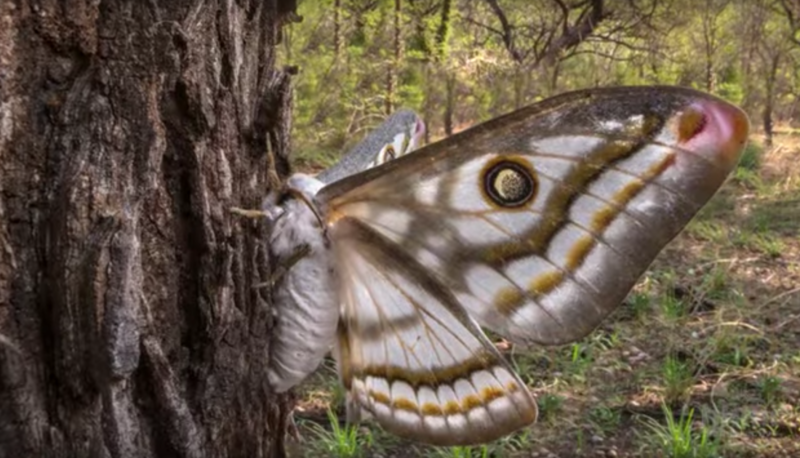 Jesse Barber at Boise State University has long been studying how the long tails of one group of seemingly defenseless moths (Saturniids) are used to divert bat attacks. One lineage of these moths is abundant in Mozambique and so Jesse was planning to go to Gorongosa National Park to investigate how these moths have evolved to evade the over 40 species of bats there. We decided to follow him to Gorongosa to document his work. Gorongosa National Park in December 2015 was very dry. As a consequence of the weather, there were few moths and we initially thought that Jesse Barber wouldn't have enough samples to perform his research. Worried and making rushed decisions, we (the film crew) and Jesse's team went camping to remote areas of the park looking for more moths. We came back to camp disappointed. With a little bit of patience, we waited night after night for the ultraviolet light to attract insects. And it turned out that Jesse found plenty of samples and and an incredible diversity of moths very close to his cabin. Converting scientific concepts into compelling narrative stories helps to reveal important discoveries. With science storytelling, filmmakers and scientists work together to unfold the different layers of a particular investigation. The approach is to lead viewers to understand the progression of each step into a research question and /or experiment. We engage the audience by explaining how research happens and why it matters. We hope the film will inspire generations of young scientists. Jesse Barber's work shows the importance of audiovisual data in research. It is remarkable to see how the combination of media and science produces wonderful results. The use of high speed cameras and ultrasonic microphones exposed a completely unknown world to our eyes and ears. Moths’ anti-bat strategies are fascinating. 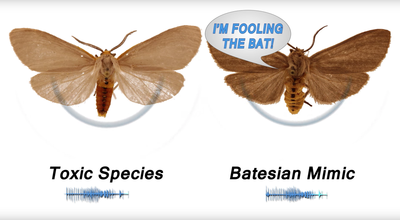 In addition to ultrasound production, moths have many tools to get away from bats. Being able to hear bats coming, not only triggers moths’ ultrasound, but it also helps the moths escape. When bats get close, and the SONAR gets loud, many of these moths dive, spiral, or loop to get away. Jesse Barber observed these behaviors just by watching the night sky. This is probably a filming challenge--the only way to capture this would be with free flying bats and free flying moths!